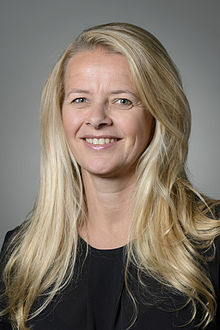 Girls Not Brides started in 2011 and was co-founded by Princess Mabel van Oranje and The Elders. There is no simple solution to ending child marriage. Girls Not Brides has therefore developed the Theory of Change. Four interlinked strategies play a key role: make girls resilient and empower them, mobilise families and communities; provide support and services to unmarried and married girls; and create and implement good laws and policies. Since its inception, the Girls Not Brides global partnership and its members have tirelessly worked to ensure that child marriage is on the global agenda and that it remains there. Many national, regional and local governments are now much more aware of the damaging impact that child marriage has, and are providing support to girls to give them a different future. Furthermore, many countries have taken steps to tighten their laws against child marriage; some of them have also started campaigns against this practice. The goal is now to stop child marriage by 2030, as included in the UN Sustainable Development Goals. However, there is still a lot of work to be done. Until every girl has the right to choose for herself when, whether and with whom they will marry, the work to stop child marriage will never be over. This entry was posted on	March 13, 2018 at 21:36	and is filed under awards, human rights.